Claudia Pasquero and Marco Poletto, founders of ecoLogicStudio (www.ecologicstudio.com) and their research partners: the Urban Morphogenesis Lab at The Bartlett UCL, the Synthetic Landscape Lab at Innsbruck University, and the CREATE Group / WASP Hub Denmark at the University of Southern Denmark, are participating in the exhibition “La Fabrique du vivant” [The Fabric of the living] at the Centre Pompidou in Paris (20 February – 15 April 2019). 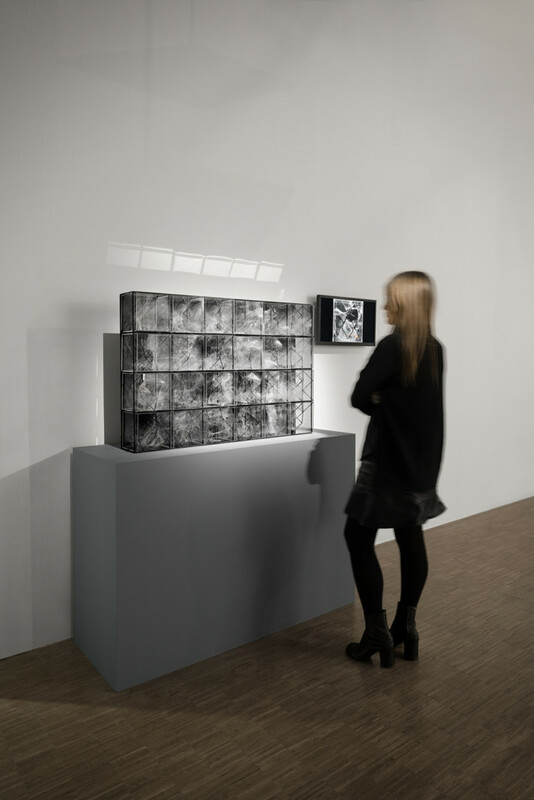 The show, part of Mutations-Créations series and curated by Marie-Ange Brayer with Olivier Zeitoun, retraces the archaeology of the living and of artificial life. As the curators assert, in the digital era, a new interaction is emerging between creation and the fields of life science, neuroscience and synthetic biology. The notion of “living” takes on a new form of artificiality, that permeates the entire Urbansphere — the global apparatus of contemporary urbanity. Here, the miniaturization, distribution and intelligence of manmade urban networks have reached in-human complexity, engendering evolving processes of synthetic life on Earth. 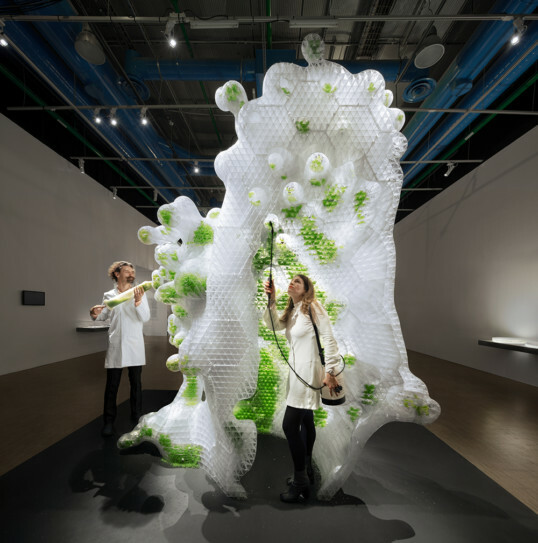 Within this context, a multidisciplinary team led by architects Claudia Pasquero and Marco Poletto, has created “in-human gardens”, two 3D printed living sculptures receptive to human and non-human life. 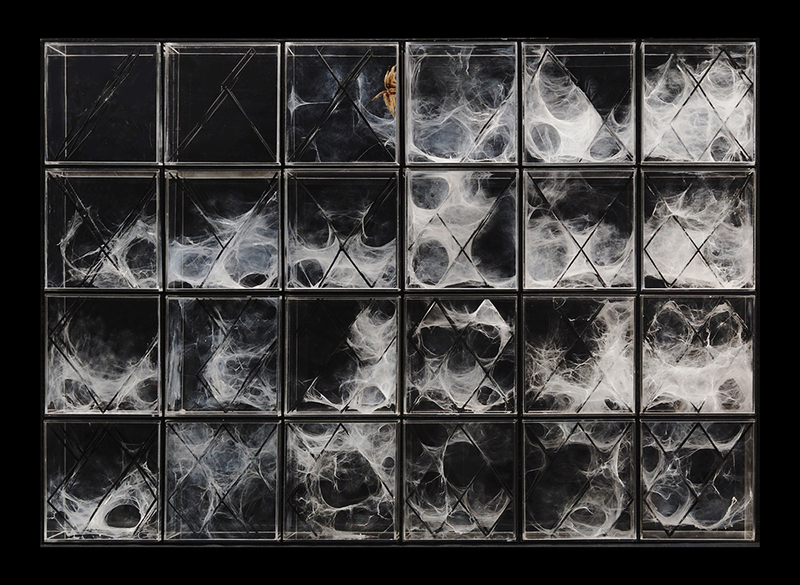 These pieces confront the dictates of human rationality with the effects of proximity to bio-artificial intelligence. 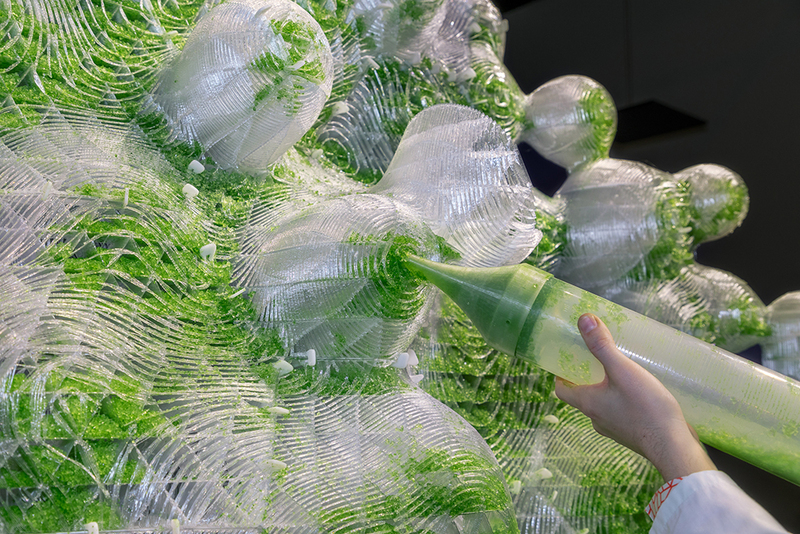 Both sculptures have been developed in “collaboration” with living organisms, more specifically colonies of photosynthetic cyanobacteria, H.O.R.T.U.S. XL Astaxanthin.g, and a collective of Asian Fawn Tarantulas, XenoDerma. Their non-human agency is mediated by spatial substructures developed by the artists while studying biological models of endosymbiosis. These structures are algorithmically designed and produced by means of large-scale, high-resolution 3D printing technology.